Hello, guys, I am sure that you guys are getting irritated with Facebook’s new feature i.e. Facebook Auto-play videos with a most awaiting feature in which user can put 6-second video clip as profile picture which is in beta mode. Facebook is continuously working to make it more interesting and efficient. Facebook uses lazy load to save your data consumption but on another hand whenever you scroll down and stumble upon a video, it starts playing which seriously consumes a huge data. Since we have small data plans and bandwidth it’s so hard to browse through Facebook. So for the users having small data plans, it’s very important to disable the auto-play feature to prevent huge data consumption. 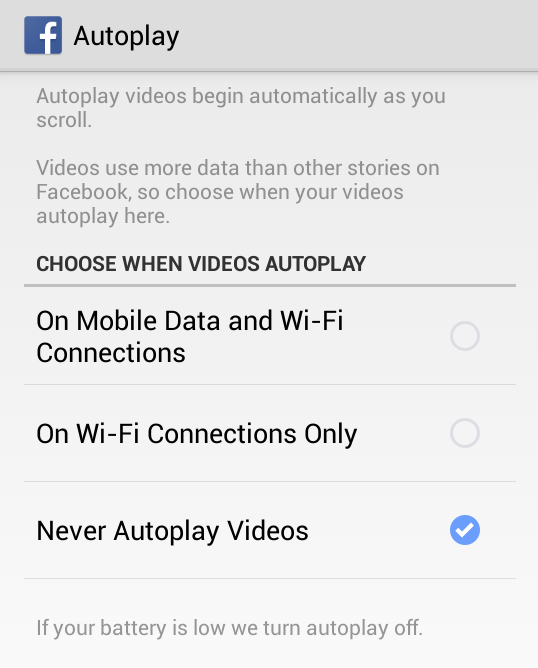 You can disable Facebook Auto-play videos in just a two-three taps within Facebook app and clicks within browsers. Step 1: Tap on the ‘Settings’ tab on the right side of the Facebook App. 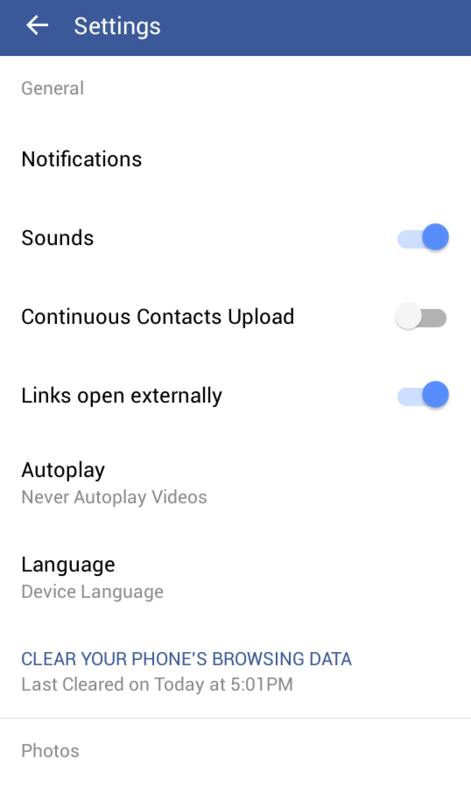 Step 4: Here in Auto-play Videos section select OFF, it will enable by default. Facebook planning a new advertising product including Auto-play Video ads which will drive more views. likes, comments and shares for the publishers. Social media Company said.